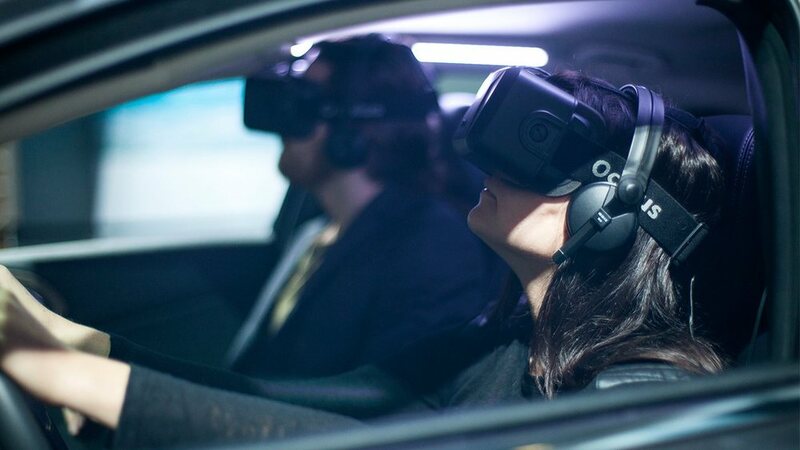 'Beneath the Surface' is an interactive virtual reality experience—made in part by MPC New York—to promote the Chrysler 200. It was first showcased at the 2014 Los Angeles Auto Show. While sitting inside the real car, visitors were presented with a virtual equivalent which disassembled around them. Using gaze selection, certain parts of the car would trigger 360 videos of the factory. This project was built in a using Unreal Engine 4 and targeted the Oculus Rift DK2. Optimizing the CAD car model for the real-time constraints of 75 fps stereo rendering proved to be challenging. Many crazy optimization tricks had to be used, such as video playback as replacement for dynamic shadows.